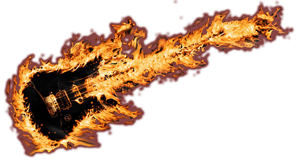 Welcome to our guitar parts website. We are a UK based supplier of custom guitar and pickup parts and we are absolutely passionate about guitars, and believe that there is nothing quite like a guitar that you've customised for your own unique look, feel and sound. One of a kind made just for you to enjoy! Whether you're just starting your first build project or are a seasoned guitar builder, this website is the place to come for the components that make up a quality guitar. We particularly want to specialise on sourcing and supplying our customers with high quality pickup building components and we presently supply professional and hobby level makers across UK and Europe with flat work, alnico bar magnets, alnico rod magnets copper coated steel base plates, the connecting wires, bobbins and coil covering tapes for wrapping finished pickups. Our range is not wide as we like to stick with traditional pickup types as made for stratocaster and telecaster single coil pickups but we also supply humbucker and P90 parts and kits including the covers. Our pickup rod magnets come in flat, and staggered options and we also supply the pickup mounting screws, switches and bridges, scratchplates and bodies. If you are looking for pickup parts for your guitar then you've come to the right place. Our guitar parts are all of an exceptional quality. 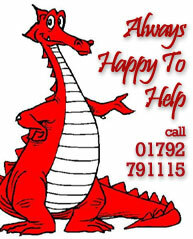 At Dragon we don't sell anything that doesn't meet our own high expectations. Our guitar pickup parts are shipped directly to you from our UK offices. We stock a wide range of items, although the primary focus of our business is as guitar pickup parts supplier. As well as selling items such as pickup bobbins, flatwork, pickup coil tape and a range of alnico 3 and alnico 5 magnets individually, we also sell guitar pickup kits, allowing you to, for example, build your own humbucker or p90. A diy guitar pickup kit is an ideal place to start if you are looking to create something special or your own unique sound. We well humbucker pickup kits, p90 kits and super p90 kits and strat, tele, bass, jazz bass and precision bass pickup kits. If you've not tried building a pickup before you would be surprised how easy it is if you have a little bit of knowledge and access to some decent parts and machinery. We have put together some guides and links to various information resources that will asist you in getting the equipment and knowledge you need to build a nice pickup. We'd love to hear from you about projects you've built using our parts. Please email your project to us and we may include them on this website.